Whether you are a philanthropist by profession or personal passion, a veteran grantmaker or a new donor just getting started, Philanthropy Network connects you to the people, information, and ideas that help you accomplish more with your giving. We help funders build essential skills, learn and share knowledge, and stay up to date on key trends and issues and engage with the region’s most influential and innovative civic investors. Our goal is to give you tools, resources and connections you need to keep your philanthropy vital in support of your mission. With over 50 educational programs and workshops presented exclusively for members each year, we provide you with practical tips and expose you to promising innovations to help you do your best giving. We update you on the latest news, relevant research and your peers’ activities to keep you on top of what's happening in philanthropy around the region and across the nation. We facilitate peer-led issue groups to help you delve more deeply into topics of mutual priority, such Education, Community Development and Arts & Culture. We also bring together groups of like organizations, such as Small Funders or Corporate, to share best practices. We offer a wide variety of tools and resources to help inform your work and make your giving more efficient and more effective. We are in a unique position to bring people to the table from across sectors to ask questions, explore solutions and generate new ideas that inspire action. Network programs regularly feature civic leaders and innovators to discuss areas of shared interest with members. We give you a voice and strengthen the sector by serving as the go-to authority on philanthropy in the Greater Philadelphia region. Our members and staff are sought-after presenters and participants in community activities, while policymakers and the media regard us as a trusted information resource. While we pride ourselves on delivering high-quality services to enhance your giving, your membership is about more than just receiving services in return for your annual dues. 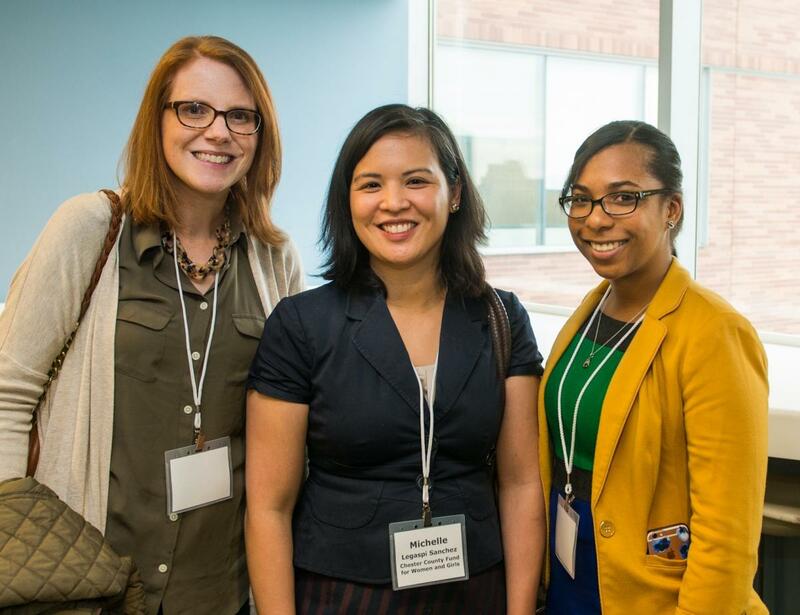 By joining Philanthropy Network, you become part of a highly-engaged peer association that values sharing, learning and connecting with colleagues and partners. The value that each member brings to the network adds to our collective influence, and amplifies our ability to achieve ambitious goals that are larger and more complex than any one funder can achieve alone. We strive to cultivate a highly-connected membership that strengthens and expands the potential and promise of the Network to build a strong philanthropic community that advances a more prosperous and equitable future for Greater Philadelphia. Join us! There’s only so much we can say on a web page about the spirit and value of membership in Philanthropy Network. So consider experiencing the network first hand. If you have questions about joining, or simply want to try us out, please contact Shira Hodges, Director of Leadership & Advancement at 215-790-9700 x5 or shira@philanthropynetwork.org.